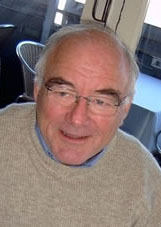 Dr. Rex Billington is an Adjunct Professor in Psychology at AUT and a Health Psychologist. He retired in the year 2000 after 18 years with the World Health Organization that included posts the WHO Regional Advisor for Educational Development and Support in the Eastern Mediterranean Region (1982-92), and in WHO Geneva where he was a Director in the Global Programme for AIDS, and Chief of Mental Health Policy and Promotion (1992-1999). He also was responsible for WHOQOL developments for a period while in the Mental Health Division. Born in New Zealand, he has an MA and a PhD in Psychology and Education from the University of Iowa, USA. Prior to being recruited by the WHO he spent most of his professional career in academic posts in the Universities of Iowa and Oklahoma, USA, and the University of Dundee, Scotland, where he was amongst other positions Director of the Health Behaviour Research Unit. Christian U. Krägeloh, PhD, is Associate Professor in the Department of Psychology at Auckland University of Technology (AUT), New Zealand. He has a PhD in psychology from the University of Auckland. After a post-doctoral fellowship at the Liggins Institute investigating the effects of early-life events on behaviour and lifestyle choices, he came to AUT, where his research interests increasingly moved towards psychometrics and mindfulness. He is a founding member of the New Zealand World Health Organisation Quality of Life (WHOQOL) Group, which is involved in projects in a wide range of health and educational settings. He is an author on over 60 articles in international journals, co-author of a popular research methods textbook, and co-editor on two books on student wellbeing. 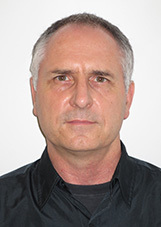 Oleg N. Medvedev, PhD, is Research Fellow at the Centre of Medical and Health Sciences Education (CMHSE) at the University of Auckland, New Zealand. He has completed PhD degree in Psychology and Health at the Auckland University of Technology, which focused on application of modern psychometrics such as Rasch analysis and Generalisability Theory to improve accuracy of measuring mindfulness and health-related outcomes. His research resulted in a number of articles published in international journals and included works on enhancement of well-being measures such as the Oxford Happiness Questionnaire and the World Health Organisation Quality of Life (WHOQOL). 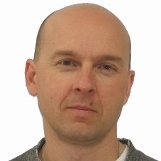 Oleg is interested in health and well-being measurement as well as in study of psychological, cognitive and physiological mechanisms involved in mindfulness that can be utilised as drug free treatments for psychological health conditions. 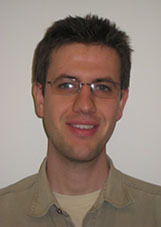 Dr Marcus Henning has a PhD in the area of educational psychology. He currently works as a senior lecturer and post-graduate academic advisor at the Centre for Medical and Health Sciences Education at the University of Auckland. The Centre provides a suite of post-graduate clinical education courses using an online interface. He has also facilitated numerous workshops to clinical teachers in New Zealand in relation to developing pragmatic clinical teaching skills. His research interests include quality of life, the motivation to teach and learn, organisational behaviour, conflict management, and professional integrity. Within the NZ WHOQOL Group, Marcus is spearheading research into education-related quality of life, and he is the lead editor on a recently published book on the integration of quality of life and motivation to learn in higher education.